Hello is an electronics company whose products are designed to help users track and understand their sleep behavior for a more peaceful night’s sleep. With Big Apple Buddy’s personal shopping service, you can now buy direct from the Hello online store anytime, anywhere. 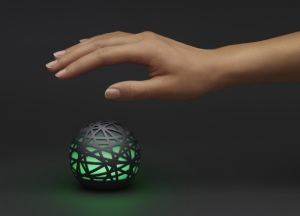 Hello’s Sense is the first system for understanding your sleep and your bedroom. This device tracks your sleep, monitors the environment in your bedroom, and reinvents the idea of the alarm, so that you can have a better and more restful sleep. 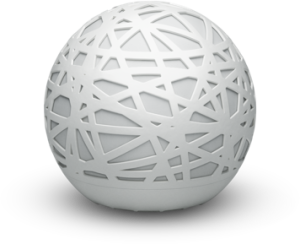 Simply place the Sense device on your bedside table and it will automatically gather data on your sleeping patterns and on the data of the environment in your bedroom, including light, noise, humidity, and more. Sense also comes with a Sleep Pill. Attach the pill to your pillow so that it can work with the Sense device to track your sleeping patterns. The pill is designed to stay out of the way and not pose any uncomfort to you while you sleep. The accelerometer and gyroscope inside the sleep pill allows Sense to know when you are falling asleep, sleeping soundly, or waking up. These two devices work together to help you understand what problems there might be in your sleeping cycle so that you can fix them and get a better night’s rest. Unfortunately, the USA Hello online store does not currently offer international shipping. However, Big Apple Buddy, your personal shopper, can help you buy products direct from the official USA Hello online store and ship them to your doorstep, no matter where you are in the world. If you would like to buy from the USA Hello online store, simply let us know which items you would like to order (by filling out the form below) and we’ll get back to you with a free international shipping quote within 24 hours!